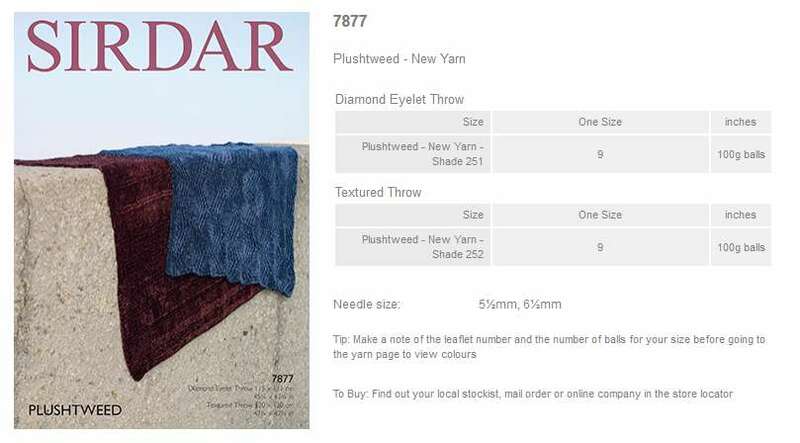 7877 - Diamond Eyelet Throw and Textured Throw using Plushtweed Leaflet with designs for a Diamond Eyelet Throw and Textured Throw using Plushtweed. 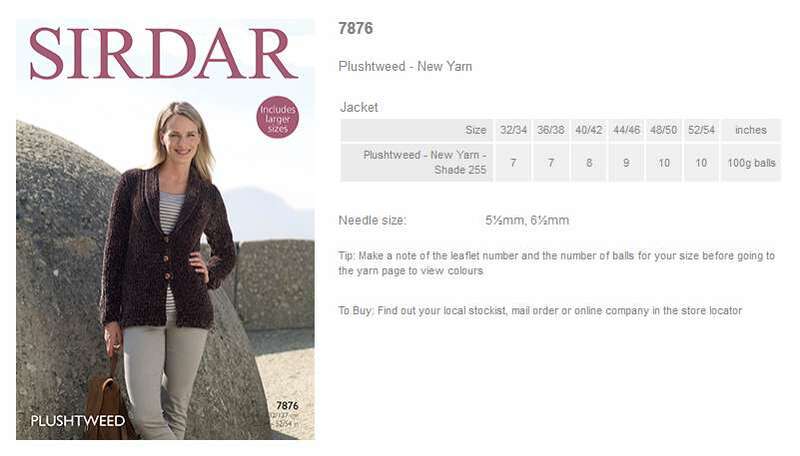 7876 - Jacket using Plushtweed Leaflet with designs for a Jacket using Plushtweed. 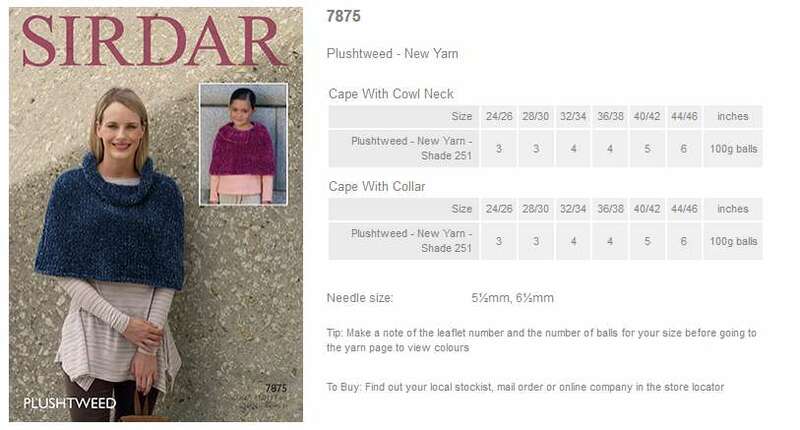 7875 - Cape with Cowl Neck and Cape with Collar using Plushtweed Leaflet with designs for a Cape with Cowl Neck and Cape with Collar using Plushtweed. 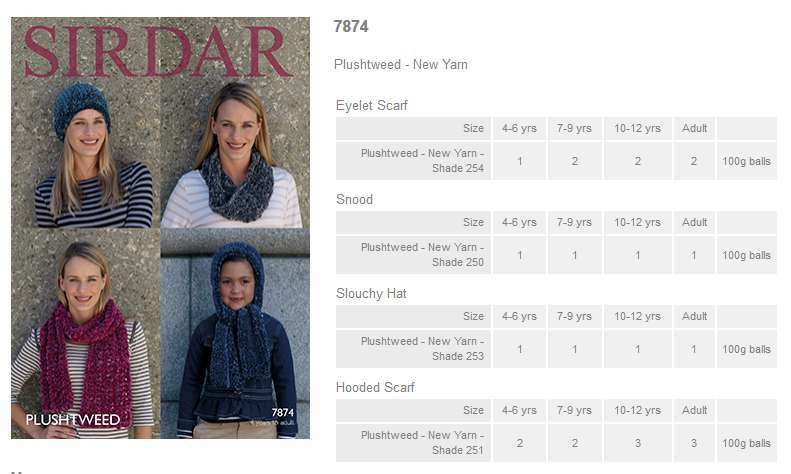 7874 - Eyelet Scarf, Snood, Slouchy Hat and Hooded Scarf using Plushtweed Leaflet with designs for an Eyelet Scarf, Snood, Slouchy Hat and Hooded Scarf using Plushtweed. 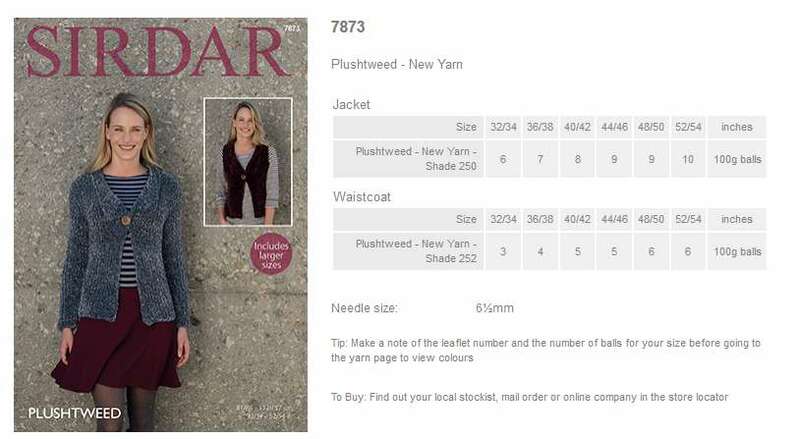 7873 - Jacket and Waistcoat using Plushtweed Leaflet with designs for a Jacket and Waistcoat using Plushtweed. 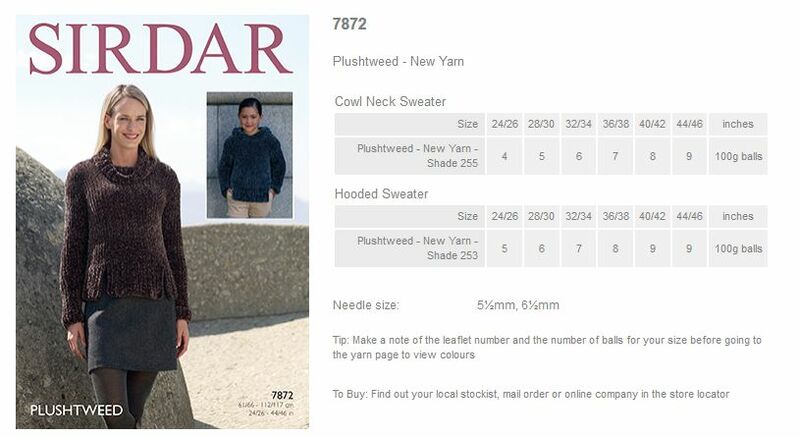 7872 - Cowl Neck Sweater and Hooded Sweater using Plushtweed Leaflet with designs for a Cowl Neck Sweater and Hooded Sweater using Plushtweed.